Lilongwe, Malawi … Progress in the poorest part of the world has been described as “pushing a chain uphill”. Here are just a couple of the most common examples. If you need to depend on someone else to supply transportation there is always the problem with little petrol in the vehicle. Going to town to make a purchase will require the outlay of funds to purchase enough petrol to get there and back. Sharing a meal usually means the other person will willingly go to a meal with you, but it will be up to you to pay for both. Now imagine your surprise when you take a large group. It seems that most of the time almost no one has discretionary funds with which to do anything. The same is true whether in the city or the countryside, but more often is the case in the countryside where 85% of Malawi’s population lives. Here are some examples of what it means to live in the income level of a village person. Remember, an average village person earns less than $2.00 a day. 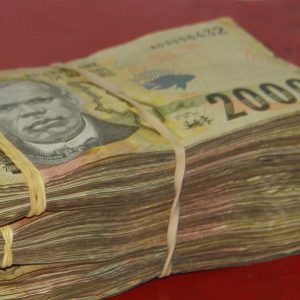 That converts to about 1,500 Kwacha a day. A liter of fuel will cost a half-day’s wage, but will take you only a few kilometers. A loaf of bread, at K450, will require a three hours of income to purchase. A small container of milk will be K1,050; or more than day’s wages. A used car can come in at a minimum of $4,000.00, (K 2,916,000.00), or the entire income of a village person for 1,944 workdays.